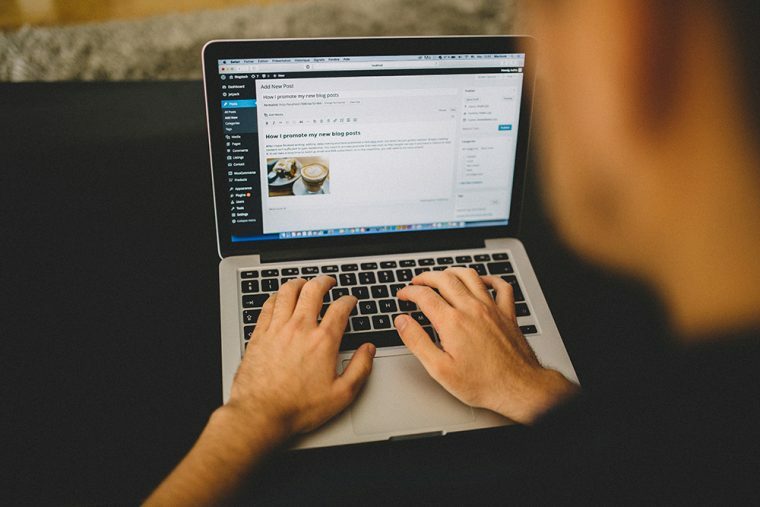 Chances are if you’ve been thinking of making a website, you’ve heard of WordPress. Launched in 2003 as a blogging platform, as of February 2016 WordPress was the platform of choice for 59.1% of all the websites whose content management systems we know. That was 25.8% of all websites — and as you know, there are a lot of websites out there. You might know a few of the major sites that use WordPress: The New York Post, TED, USA Today, and CNN are just a few. That’s all very impressive, but what is WordPress exactly, and how can you go about using it for your business? Let’s take a look. WordPress is a Content Management System (CMS) that supports the creation and management of websites. It’s built with the PHP programming language on a SQL database. It’s open-source, which means that anyone is free to use, copy, study, and change the software. That’s important, because it means that WordPress is easier than other platforms for you or your web designer to work with. Well, for one thing, it’s free — and you can’t beat free. (One caveat here: you’ll have access to certain themes for free, but you may have to pay for certain themes available via third party services, or to have a theme customized). It’s also easy to use. Once you’ve dug in and perhaps even had some training, you’ll be a WordPress master. It’s mostly secure and powerful, given that it has so many developers working on it at any given time. It’s extensible, which means there are loads of plugins and features that you can easily add into the backend of your site to up the number of features offered. Importantly, it was built with SEO in mind, as have the many custom templates that have since been developed, so your site will have a much better shot at getting found. The .com and the .org make all the difference when it comes to WordPress. With WordPress.com, you’ll have easy access to many different themes designed to suit a wide variety of business types and needs. This is great when your site is relatively simple. However, for most business owners, you’ll want to have a WordPress.org site. Why? Because the downside of the plug and play nature of WordPress.com sites is that you won’t have any access to custom plugins, you won’t be able to upload your own theme if you get one designed, there’s limited storage space, you have to pay to remove ads, and you don’t have access to your FTP files, which means they’re at the company’s mercy. Many of these things mean that a WordPress.com site isn’t scalable. The story is entirely different at WordPress.org, where you can customize your experience and host on any server with PHP/MySQL capabilities. Here you can also buy themes, or you can have a designer or developer create a custom design or plugin for you. WordPress.org is great because you get complete control over your site. It’s easy to go into the backend to edit it, and you’re not limited on the kinds of plugins you can use. This is important, because plugins are what give many websites their most important features like eCommerce tools, which don’t exist on WordPress.com. At the minimum, you’ll probably need a designer to help you install and setup your site. You also might need help regularly updating the version of WordPress you’re using as well as the themes and plugins. You’ll also want to regularly backup your site, protect it against hackers and spam, and resolve any buggy issues that might come up — all of which is again much easier with the help of a designer or developer. Getting started on WordPress.com is easy. You can sign up for a site and hosting directly at WordPress.com. Or you can register a domain name at a good linux-based hosting company. There’s a little more to launching WordPress.org site, as you’ll need to set it up manually via FTP. Then if you go to a hosting company like Bluehost or WP Engine, you can take advantage of their one-click install. You can still host your site elsewhere but without one click it’s a little more complicated, so again you may want to hire an expert to help you. What Type of Content Goes Into WordPress? No website is worth much without content to fill it. Content comes in several different forms. First, there are the site pages themselves, whether that’s your about page, your homepage, or your services page. Then there are post pages, which can be used for blog posts, announcements, and any content that’s available for comment. These posts can be categorized and tagged so that users can easily find them, as can the all-important Google bots, which crawl your site in order to rank it. We’ve casually mentioned themes a few times now, so it’s important to define them. Your WordPress theme will provide the overall design or style of your site, including font styling, colors, page layouts, styles for blog posts and blog archives, and additional stylistic details. As mentioned earlier, you can choose from thousands of themes in the WordPress Theme directory, or you can find and pay for them via third party producers (Themeforest.net is our fave). When selecting your theme, it’s important to choose based not just on style but also on how you want to your users to interact with your site. For instance, it doesn’t make sense to purchase a theme designed for a photo blog if you want to be an eCommerce site. You also want to be careful when choosing a theme that you’re purchasing one with a solid backend. As such, it’s important to buy either through the WordPress Theme Directory, or through other reputable sources, like elegantthemes.com or themeforest.net. Keep in mind that once your theme is installed, you’ll need to update it regularly, which may require the help of a developer. Your theme is what gives your site its basic functionality and look. Plugins are the way you customize that functionality. For instance, with the WooCommerce plugin, you can turn your site into one that’s set up for eCommerce. With YoastSEO, you’ll have SEO suggestions at the bottom of any blogpost you write. With Backup Buddy, you’ll have automatic backups. With Contact Form 7, you’ll be able to easily add contact forms to any page on your site. And with AddThis, you can set it up so that readers can easily share the content you produce via the social media site of their choice. 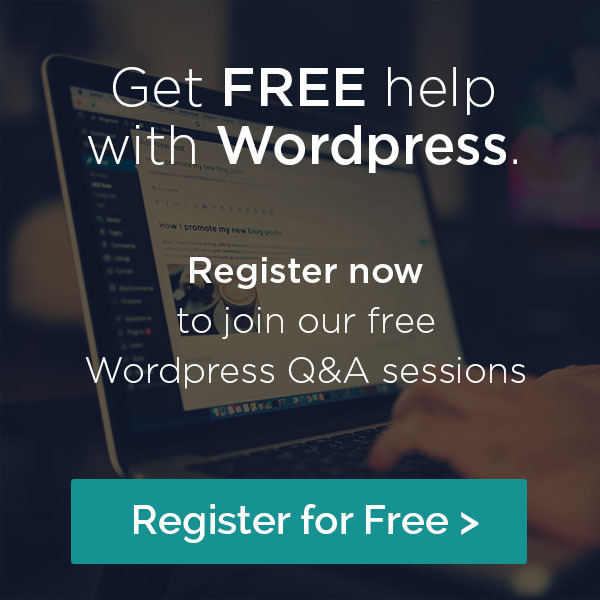 WordPress is such an easy platform to use, but getting it setup, backed up, updated, and maintained can be overwhelming and downright difficult for anyone who is not a designer or developer themselves. The more features you want your site to have, and the more custom the look, the more difficult it becomes. As such, it’s always a good idea to have a developer on your speed dial. However, you’ll really want to have one when you’re first purchasing and setting up a new theme. You’ll also want one when you’re adding new features through a plugin — especially when those features have to do with eCommerce, which can get tricky. You also may want to hire one to do those updates and backups for you, as well as any site functionality tests. This will ensure your site is always looking great, doing what it’s supposed, and bringing you in the exposure and revenue it’s designed to. Looking to add a WordPress developer to your team? At Alt Creative and ProactiveWP.com, we’re here to create, design, and support you. Check out our WordPress maintenance services today!